Nuhanis are descended from Isu Khan son of Ismael son of Siani son of Lodi, according to the traditional history. He is said to have been commonly known as Nuh or Nuhan , and his descendants came to be known as Nuhani. They are also known as Lohanis which is corruption of word Nuhani. Nuhanis are divided into four main branches, Marwat, Miya Khel, Daulat Khel and Tatur. In 1495 AD, Darya Khan Nuhani, son of Mubarak Khan Nuhani, was appointed governor of Bihar by Sultan Sikander Lodi. On Darya Khan's death, his son assumed independence with the title of Sultan Muhammad Shah during the reign of Sultan Ibrahim Lodi. Thus Bihar turned into a base of Nuhani Afghans. The Nuhanis continued to retain their hold over Bihar with Babur's support till 1530 AD when it was seized by Sher Khan Sur. Dary Khan's father, Mubarak Khan Nuhani, joined Sultan Bahlol Lodi at the begining of his career and acquired top rank prominence after he came to the throne. His sons Darya Khan and Nasir Khan, had attached themeselves to Prince Nizam Khan (later Sultan Sikander Lodi) during the reign of Bahlol Lodi. In 1490 Darya Khan fought on the side of Sikander Lodi against their own father who had decided to support Prince Barbek Shah for the throne of Bahlul. 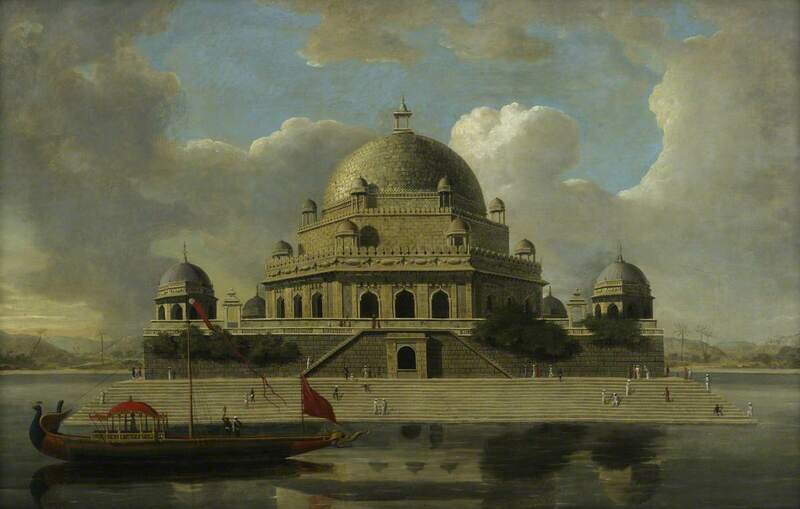 In 1495-96, Sikander Lodi appointed Darya Khan as muqta (governor) of Bihar. Before posting in Bihar, he held the position of Wazir-i-Mamalik (Prime Minsiter). Darya Khan Nuhani consolidated Afghan rule in Bihar and lived there permenantly. After depature of Sikander Lodi from Bihar, twenty-two pro-Sharqi nobles and zamindars rose in rebellion and created much confusion. Darya Khan pacified the whole region by either destroying the powerful zamindars or reconciling them to the Afghans rule. He befriended prominent Ulama and saints of Bihar by making large land grants and also showed interest in maintaining their tombs and dargahs. He became so popular among the local people no zamindar of Bihar helped Sultan Hussain Sharqi (former ruler of Bihar before Afghans) when he attacked Bihar after the death of Sultan Sikander Lodi. In 1519, Darya Khan helped the royal army of Ibrahim Lodi against the rebels in Kara. Despite this, Darya Khan could not maintian good relations with Sultan Ibrahim Lodi. His elder brother Nasir Khan rebelled against the Sultan and also dragged him into the conflict with center. At this time Darya Khan had 30,000 sowars under him. Soon afterwards Darya Khan passed away, leaving his son Bahar Khan as his successor. On the death of his Darya Khan, his son Bahar Khan (also known as Bahadur Khan) declared himself as Sultan Muhammad Shah to attract people dissatisfied with the Lodi Sultan to his side. Many rebel nobles, who escaped from Sultan Ibrahim Lodi, took refuge in Bihar. Having assured of their help as well as cooperation of local elite, Sultan Muhammad Nuhani began to have the Khutba read in his own name and issued coins. His Wazir Mian Buden of Maner was one of the most respected scholar of Bihar. 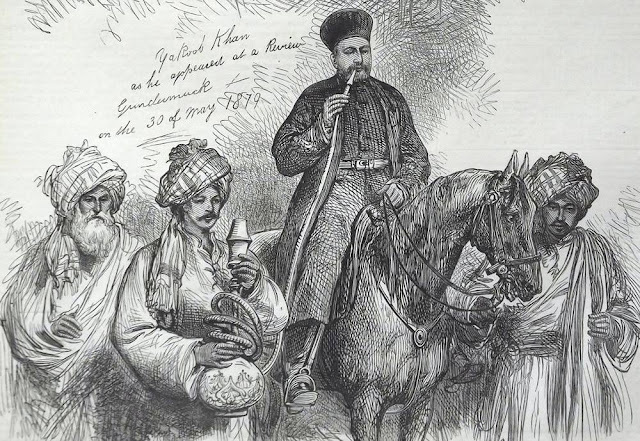 The political developments in Bihar led Sultan Ibrahim Lodi to send large military expedition against Nuhanis. The nobles loyal to Sultan Ibrahim succeeded in freeing from the nobles all the territories from the sarkar of Kannauj and Kara to that of Ghazipur and then entered Bihar for the destruction of Sultan Muhammad Nuhani. The royal army, led by Bayazid Farmuli, could not succeed and their army was routed by Nasir Khan Nuhani. Bayazid Farmuli retreated to Bhojpur where he got the news of the defeat of Sultan Ibrahim Lodi in the battle of Panipat (1526). The fall of Lodi Sultan provided Sultan Muhammad Nuhani with an opportunity to build up his power in the eastern region of Lodi empire. He succeeded in creating from the rump of Sultan Ibrahim's defeated army, a large but disorderly formation. He sent 40 or 50 thousands strong army to occupy the eastern region up to Kannauj while he himself remained in Bihar. But the occupation of eastern regions was partial as his allies were unable to get hold of the strong forts there. Therefore the supporters of Sultan Muhammad Nuhani were not in position to hold out against Mughals outside Bihar for long. Upon Humayun's appearance (1527) , his allies were seized with panic and evacuated every place without giving battles to Mughals. Upon the Mughal expansion towards east, the Nuhani rule was confined to the territory of Bihar. The subjugation of Muhammad Sur of Chaund seems to have the last event of Sultan Muhammad Nuhani's life as he doesnt appear to have survived after 1527. On Sultan Muhammad Nuhani's death, his widow and his son Jalal Khan , were deserted by most of his allies. The important Afghan nobles who had aligned themselves with him, joined Prince Mahmud Lodi son of Sikander Lodi, who appeared in Bihar after battle of Khanwa. Jalal Khan, who happened to be a mere boy, was taken away by his mother , Dudu and the faithful followers to Bengal. They returned from Bengal in 1529 when Sultan Mahmud Lodi and his followers were driven away by Babur. Soon later , Dudu negotiated with Babur for peace. Babur agreed to restore Bihar to Jalal Khan on condition that he would rule as his vassal and pay one crore tankas as annual tribute. She accepted Babur's condition and, therefore, Bihar was left with her son , Jalal Khan. But the Nuhanis who had seven or right thousand horsemen at this time could not hold Bihar against the allies of Sultan Mahmud Lodi. In view of adverse conditions, Dudu asked Sher Khan Sur to run the government of Bihar. But Sher Khan was still a supporter of Sultan Mahmud Lodi. Sher Khan's appointment was soon followed by the sudden death of Dudu. Her death paved the way for Sher Khan's supremacy. His dictatorial postures displeased the Nuhani Afghans who were denied all interference in government affairs. They instigated Prince Jalal Khan to destroy Sher Khan with the help of Mughals. Sher Khan sought help from Biban and Bayazid and laid siege to the fort of Bihar. Being pressed , the Nuhanis fled away to Bengal in 1530.